It is necessary to treat our roads and sidewalks. But we should be cognizant of the impact salt and other chemicals have on our waterways and the critters that inhabit them. Using less salt and other safer materials, such as sand, can make a dramatic difference while still ensuring our safety. If we ignore the harm of overusing salt and other hazardous chemicals on our roads, the dangerous impact can strike long after the snow has melted. 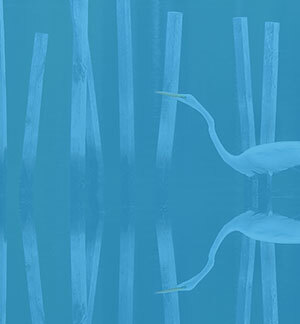 Across Virginia: Help restore the health of the Chesapeake Bay and Virginia's rivers by participating in CBF's Grasses for the Masses program. Participants grow wild celery, a type of underwater grass, in their homes for 10-12 weeks. After 10-12 weeks of growing, participants will gather to plant their grasses in select local rivers to bolster grass populations and help restore the Bay. Workshops are being held throughout Virginia. Click here to find one near you! Annapolis, MD: Join oceanographer and international sea level rise expert John Englander, author of High Tide on Main Street, on January 30 for a talk about the future of shorelines in Annapolis, across the US, and around the globe. RSVP to histpres@annapolis.gov or call Shari Pippen at 410-263-7961.